Kamakura, about 30 minutes by train from Yokohama and 1 hour from Tokyo, is a small quiet coastal city with tranquil temples. It is a very popular day trip from either city for locals and tourists alike. ​The approach to Tsurugaoka Hachimangu Shrine is 1.8 kilometers long "Wakamiya Oji Street", running north to south across Kamakura. 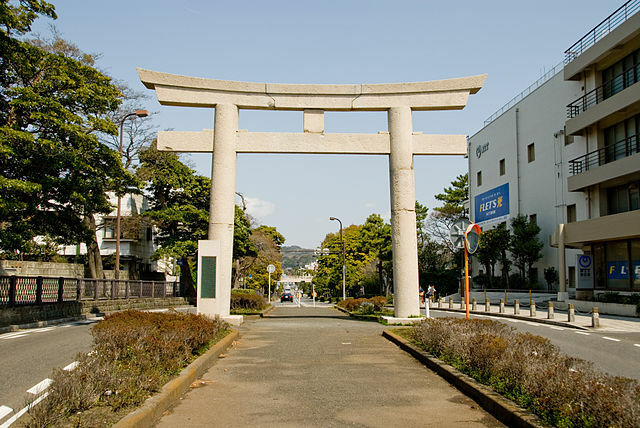 ​It starts from the compound of Tsurugaoka Hachimangu Shrine to the sea coast and was regarded as a powerful main street of the Samurai government. About 1km north of the station, Tsurugaoka Hachimangu Shrine attracts a million visitors on New Year's Day to see the first sunrise of the year. Tsurugaoka Hachimangu is the largest Shinto shrine in otherwise almost solidly Buddhist Kamakura, built by "Yoritomo Minamoto" founder of the Kamakura Shogunate and the first Shogun in the Kamakura Period. It is the most important Shinto shrine in the city of Kamakura. 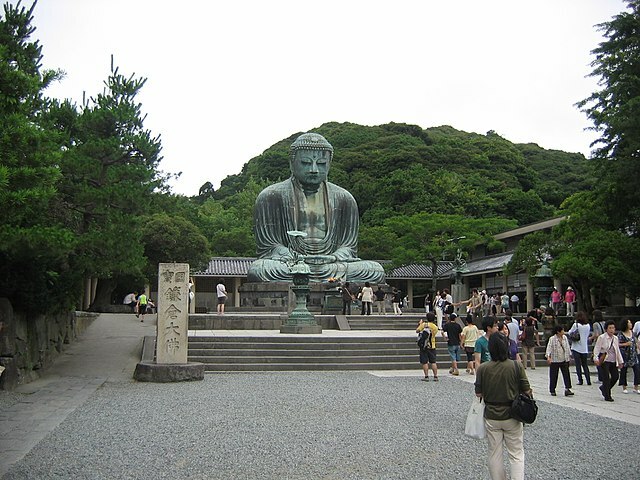 Kamakura's most famous attraction is the giant bronze Daibutsu "Great Buddha". This impressive Daibutsu is 13.35 meters high, weighs 121 tons and sits in the open-air. 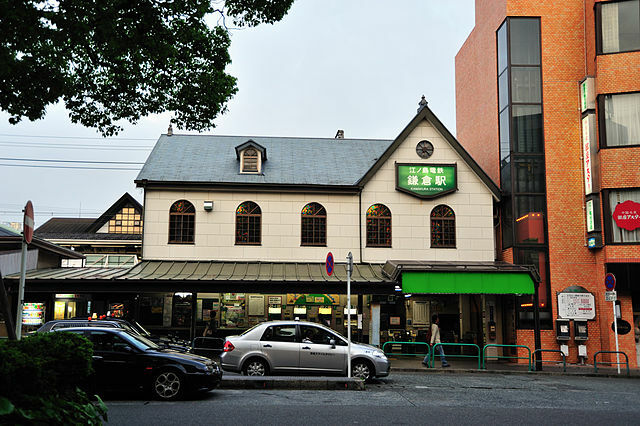 It is located approximately 2 kilometers southwest of Tsurugaoka Hachimangu Shrine in the southwest area of downtown Kamakura. A 15th-century tsunami destroyed the temple that once housed the Great Buddha, but the statue survived and has remained outdoors ever since. This iconic Daibutsu is arguably amongst the few images which have come to represent Japan in the world's collective imagination. Hase-dera Temple commonly called the Hase-kannon is one of the great Buddhist temples in the city of Kamakura, famous for housing a massive wooden statue of Kannon. ​According to legend, in 721 AD the pious monk Tokudo Shonin discovered a large camphor tree in the mountain forests near the village of Hase in the Nara region. He realized the trunk of the tree was so large that it provided enough material for carving two statues of the eleven-headed Kannon. The statue he commissioned to be carved from the lower part of the trunk was enshrined in Hasedera Temple near Nara. The statue from the upper half was set adrift in the sea with a prayer that it would reappear to save the people. ​The statue washed ashore on Nagai Beach on the Miura Peninsula near Kamakura in the year 736. 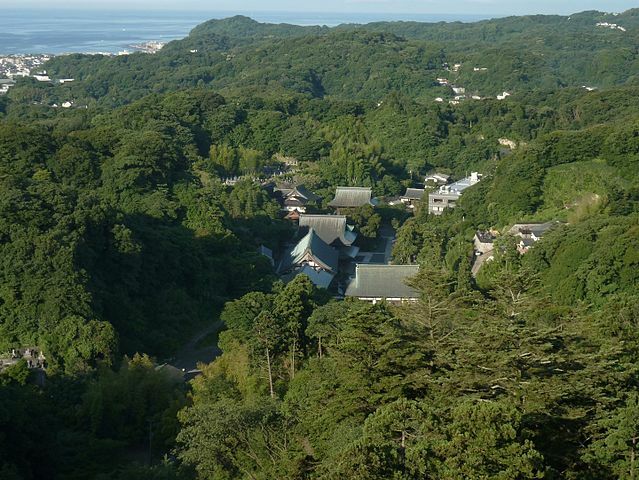 It was brought to Kamakura where a temple was built to honor it. 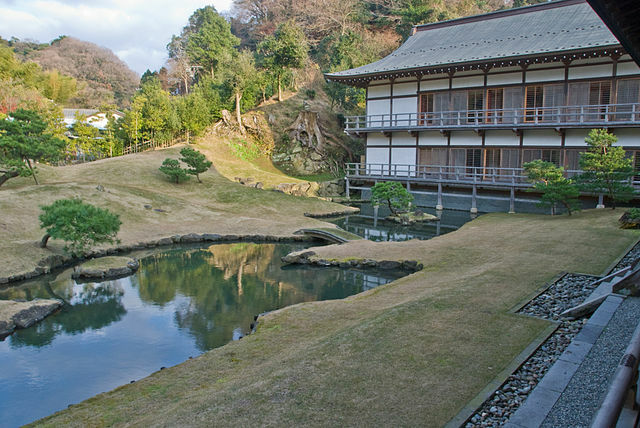 Hokoku-ji Temple is an old temple in the Kencho-ji school of the Rinzai sect of Zen Buddhism. 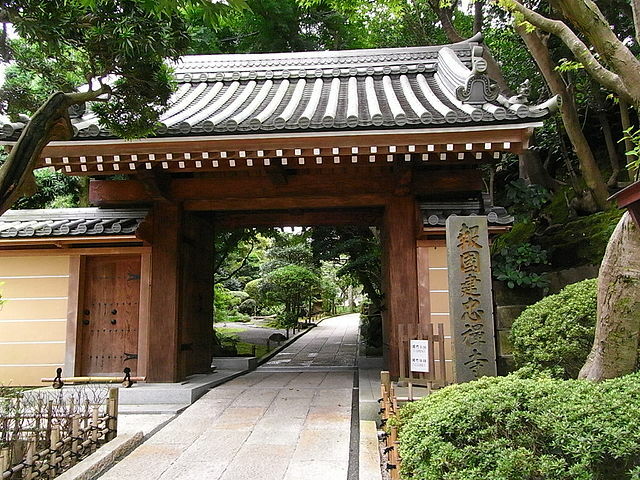 The path to the temple leads past a relatively modest gate and through a small garden to the main hall. ​The hall houses a statue of the historic Buddha "Shaka Nyorai", the temple's main object of worship. Famous for its bamboo garden, which can be found behind the temple's main hall it is also known as "Bamboo Temple". A few narrow pathways lead through the bamboo to a tea house where, for a small fee, you can sit and enjoy a cup of matcha tea while enjoying views into the bamboo grove. Kencho-ji is a Rinzai Zen temple in Kamakura which ranks first among Kamakura's Five Great Zen Temples and is the oldest Zen training monastery in Japan. After passing through the Sanmon "main gate", visitors will see Kenchoji's temple bell, designated a national treasure, on their right. Near the end of the temple's garden, over a hill stands the Hansobo, a shrine for the protection of Kenchoji. There you will also find a small observation deck from which Mount Fuji can be seen on clear days. If you climb further, at the very end of the garden, next to the Hansobo, on a small hill overlooking a lake stands the Kaishun-in. 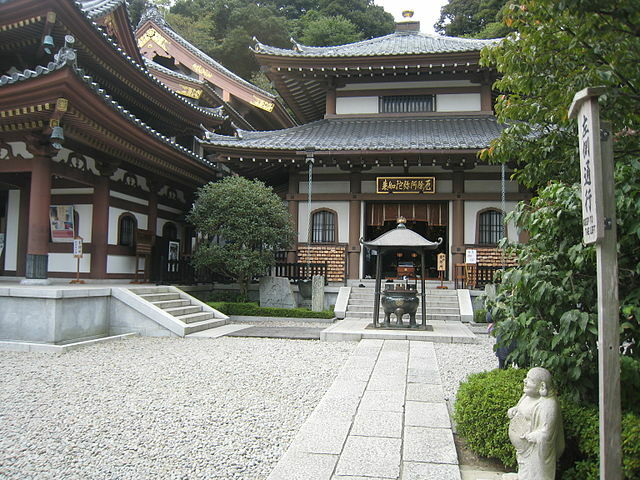 This remote temple was built in 1334 and enshrines a statue of Monju Bosatsu. There you will see the second observation deck with fine views over the entire temple grounds 100 meters below. 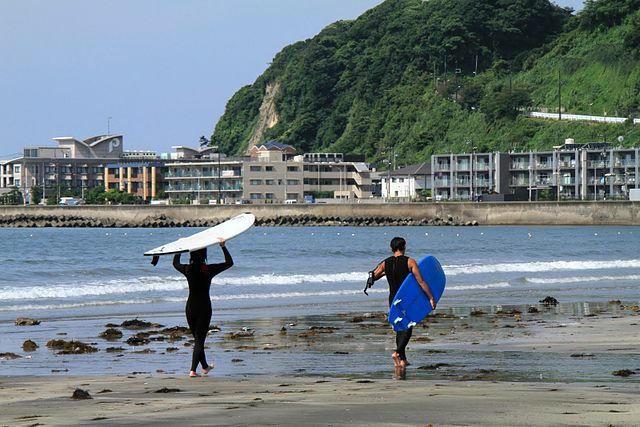 Kamakura is not just a historical city which has a lot of temples, shrines, and other historical buildings — there are also some popular beaches in Kamakura. ​You can feel the atmosphere of the Shonan Coast in the bright sunshine and have a good time there, especially in summer. Yuigahama is a representative beach in Kamakura; so many people visit in summer to enjoy the sea-bathing there. It is also a spot for a good view of the firework display held in summer. Kamakura is famous for aquatic fireworks. Shichirigahama is a famous beach in Kamakura as well. Unfortunately, swimming is prohibited. ​But it's still a good beach to relax and have an enjoyable time. Many surfers enjoy surfing there. Inamuragasaki is also a famous beach. The Inamuragasaki Park is well known for its sunsets and also a popular spot for sightseeing of places featured in films and TV. Beyond that, it has sweeping views of the ocean with the Island of Enoshima and Mt. Fuji visible toward the West. 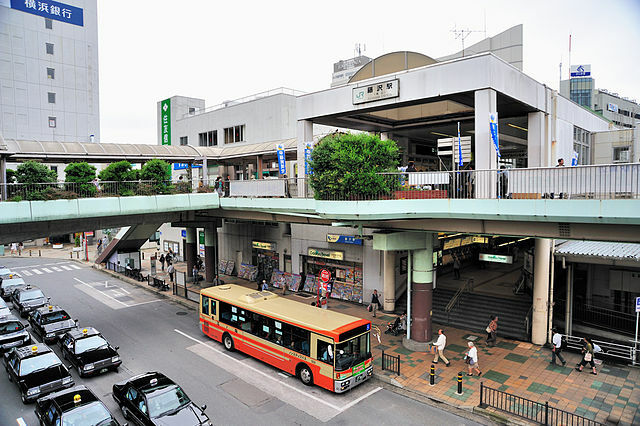 By Train - The ​fastest way to Kamakura Station is by JR Yokosuka Line from Tokyo Station "one hour". From Yokohama Station take JR Tokaido Line to Totsuka Station "10 minutes", then change to JR Yokosuka Line to Kamakura Station "13 minutes". The JR Kamakura-Enoshima Pass gets you a round trip in this area with unlimited use of JR, Enoden and Shonan Monorail lines. 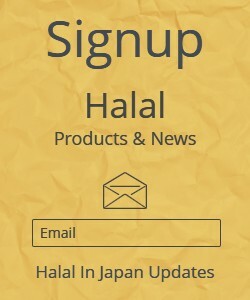 ​You can buy the ticket at Ofuna, Fujisawa, Kamakura or Kita-Kamakura Station. ​An alternative is to take the private Odakyu line from Shinjuku Station to Fujisawa, then change onto the rattling old Enoden half-train/half-streetcar line that terminates in Kamakura. 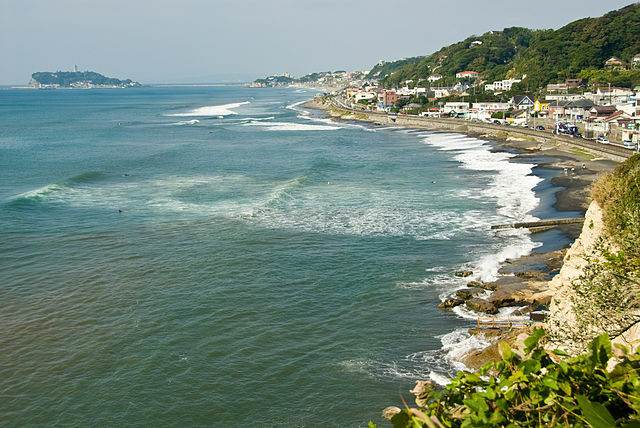 The longer "about 90-minutes" travel time is compensated for by views of Enoshima Island and the Shonan Coast. ​The Enoshima-Kamakura Free Pass will get you a roundtrip from Shinjuku "or other Odakyu, Seibu and Sotetsu Stations" and unlimited use of the Enoden line for one day. The Hakone Kamakura Pass by Odakyu Railways is a discount pass for exploring Hakone and Kamakura. 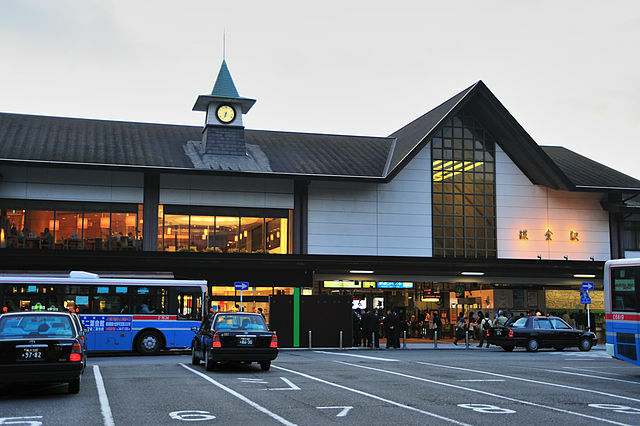 It provides unlimited use of Odakyu trains, Odakyu-affiliated buses, trains, boats, cablecars and ropeways in the Hakone area and on the Enoden trains between Enoshima and Kamakura, as well as discounted admission to selected tourist attractions on three consecutive days. 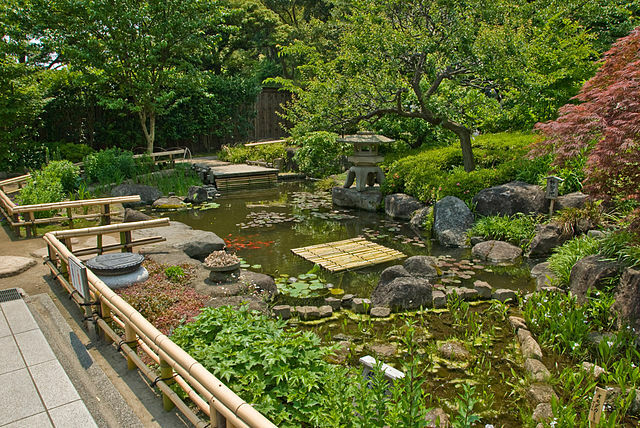 It includes special services at about seventy facilities such as art museums and gift shops in locations on Hakone, Enoshima, and Kamakura area.